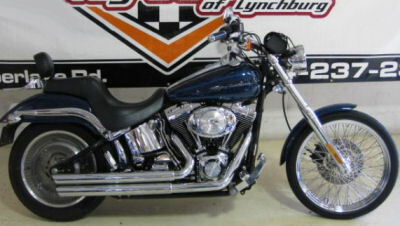 The 2000 Harley Davidson Deuce for Sale is very, very clean with the beautiful classic black paint color option. This is a very nice motorcycle that currently has 81,833 total miles on it currently. This deuce is so gorgeous that you will really have to see it in person and take it for a test drive to fully appreciate all that it has to offer visually as well as far as performance is concerned. GoGoCycles would also encourage our biker friends to write a review of the HD Deuce or share any thoughts and/or opinions to make potential buyers aware of any problems that are commonly associated with this motorcycle or to highlight its positive features and help our visitors make informed decisions. The 2000 Harley Davidson Deuce for Sale is in Myrtle Beach and the price on it is just $6999! If you have any questions or would like to see this ride, you are welcome to call us (no e-mail) at 843-651-97 nine nine and please mention that you found our classified on GoGoCycles Used Motorcycles for Sale when you call.